Fresh on the heels of Garmin's additions to its Forerunner line, the company has also updated its Connect mobile app with an updated design and new social features. 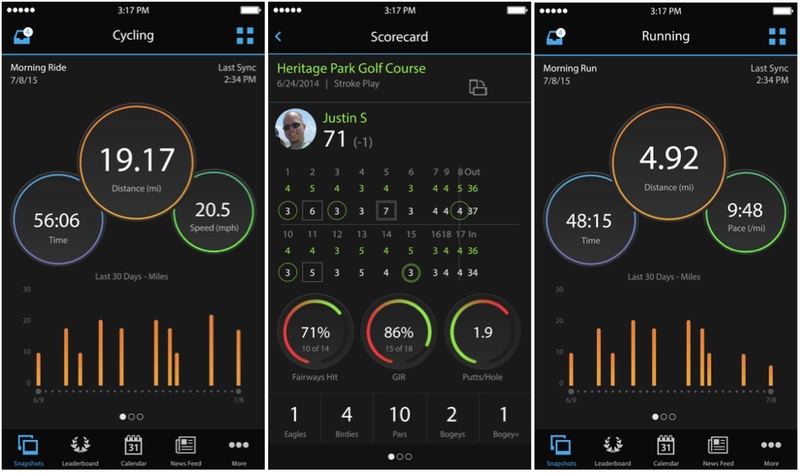 The updated app for iOS and Android promises customisation options that make it easier for the user to focus more on their personal goals, no matter which Garmin device they are using. It now features daily snapshots, a calendar, leaderboards and a newsfeed. The redesigned interface can be customised by users to put key information front and centre. You can add daily steps, sleep data or running stats and averages to the dashboard as you see fit. The update also includes additional social sharing via the newsfeed, leaderboard and new Challenges. Users compete in weekly step challenges against other Garmin Contact users with similar fitness goals. "The new interface and customisation options make it easy for users to focus on their personal wellness goals and milestones, no matter what Garmin device they're using," said Dan Bartel, Garmin vice president of worldwide sales. You can upload data to share your training progress on social media and real-time workouts using the Live Track feature. The Garmin Connect mobile app update is available now on iOS and Android.